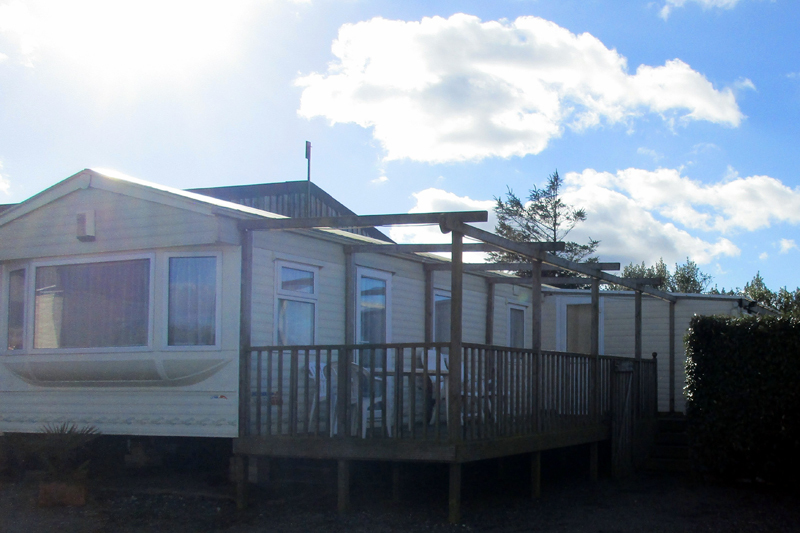 Our Sapphire caravan ‘Seaview’ has double glazing and central heating providing warmth & comfort when needed. 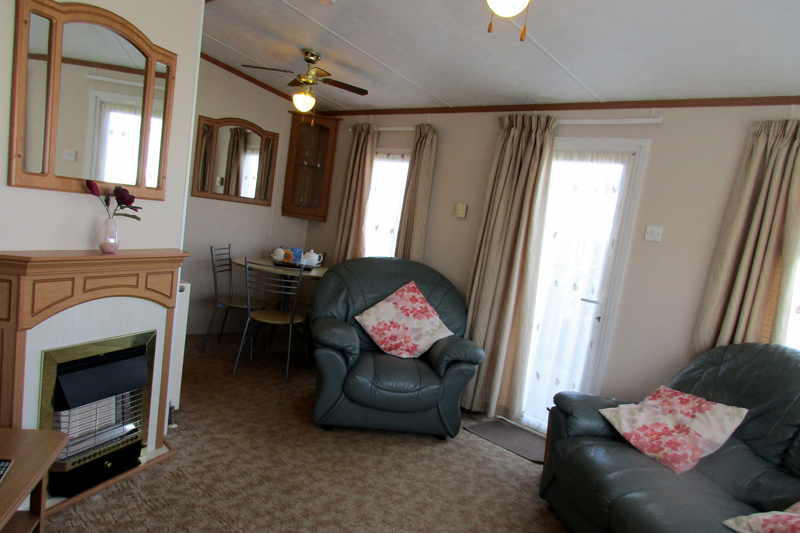 There is an open plan lounge, dining/seating area and fitted kitchen. Free standing seating area in the lounge. Large conservatory. A gas fire with shelving on the side provides extra storage. Seaview has two bedrooms – one double and one twin room with single beds. 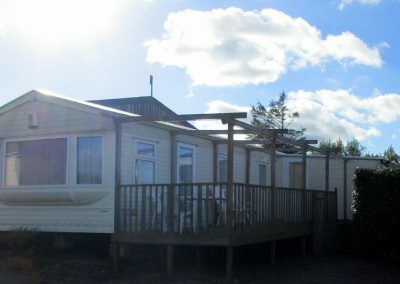 Both bedrooms have fitted furniture with plenty of wardrobe space and bedside tables. The master bedroom has dressing table with mirror. The kitchen comes fully equipped with ample crockery, cutlery, glassware and cookware etc. 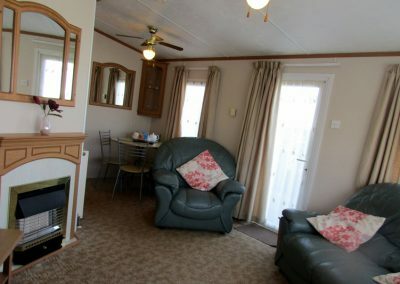 Appliances include oven, hob and grill, fridge with top freezer area and microwave. The bathroom has a toilet, shower cubicle and washbasin. 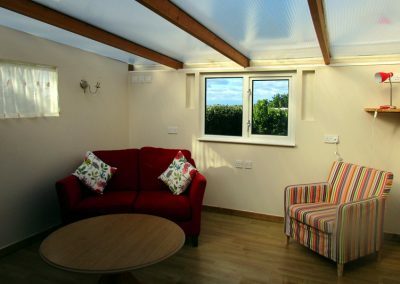 There is a large anclosed decking and private enclosed garden.